Tooling process is a requirement for all high volume production. The time frame required to make tooling molds is the key to a competitive product. In order to meet the demand of shortened life cycle of computer and electronic products, the expedited tooling process has been introduced. Expedited Tooling Process incorporates the CAD/CAM system and CNC Cutting equipments. This new automation process eliminates the pre-tooling design stage and reduces the mold manufacturing time. 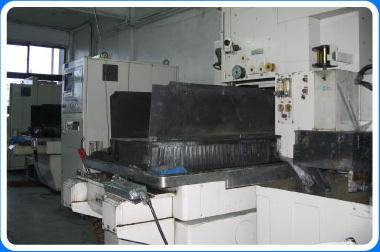 In addition, any modification or design change of molds can be carried out easily. We have added premier equipments for tooling cutting to reduce the overall tooling period. We also have the ability to select the types of molds required based on the volume size of the product.